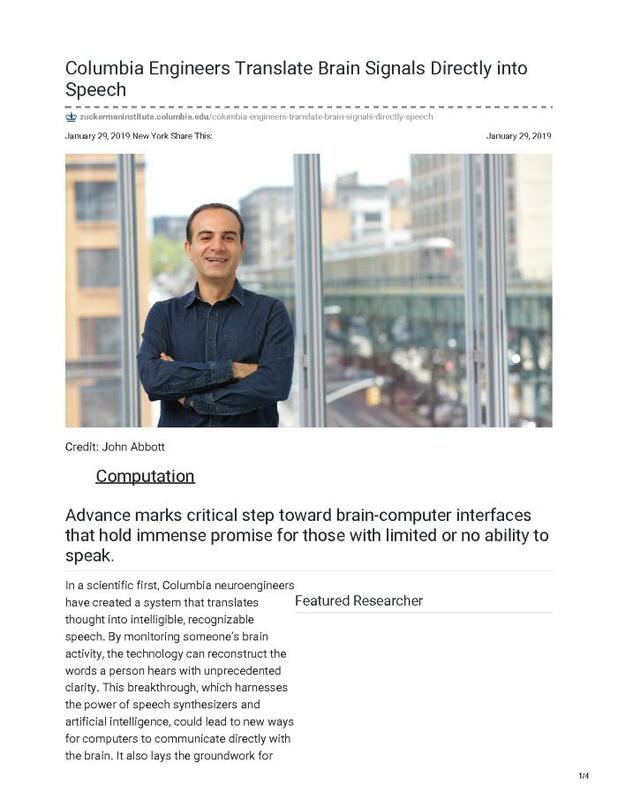 In a scientific first, Columbia neuroengineers have created a system that translates thought into intelligible, recognizable speech. By monitoring someone’s brain activity, the technology can reconstruct the words a person hears with unprecedented clarity. This breakthrough, which harnesses the power of speech synthesizers and artificial intelligence, could lead to new ways for computers to communicate directly with the brain. It also lays the groundwork for helping people who cannot speak, such as those living with amyotrophic lateral sclerosis (ALS) or recovering from stroke, regain their ability to communicate with the outside world.